So you're going to Florida. But you're too old for Disney World, too reserved for popular Spring Break locales, yet not quite old enough for the Sunshine State's famous retirement villages. Why not look a little further up Florida's west coast? 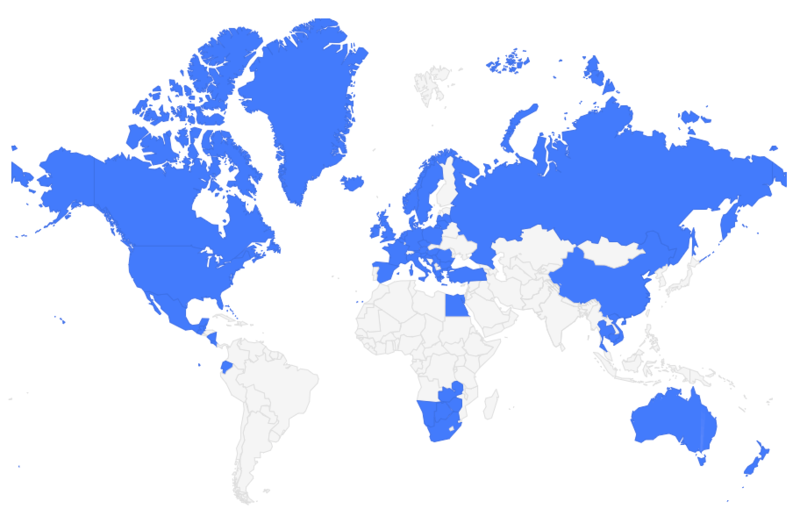 A little further. … Keep going. … There you go. This area of the state is worlds away from the “usual” Florida retreats many tourists head to (unless you're headed to Panama City Beach for some of that Spring Break action…). The stretch of coast leading up the Panhandle is dotted with white-sand beaches, warm Gulf waters, and delightful coastal towns. Take, for example, the historic little fishing town of Apalachicola. Yes, the name is a bit of a mouthful. This last part is true, too. People in Apalachicola are friendly, laid-back, and quick to laugh. While certain spots around town clearly cater toward the tourist crowd (there are kitschy T-shirt and souvenir shops here and there), many in Apalachicola still make a living as fishermen. The town used to be a bustling center for sponge trade (who knew, right? ), but now most head out every morning to harvest oysters and catch shrimp. In fact, more than 90 percent of the oysters that come from Florida are harvested right here in Apalachicola Bay. But Apalachicola isn't simply a fisherman's haven. The little town, offering up a taste of “Old Florida” with its charming boutiques, coastal cottages and art galleries, really has something for everyone. If you're in the mood to browse or shop, check out the Grady Market, across from the docks. This building used to be a ship chandlery back in the 19th century, but has been renovated into a collection of galleries and boutiques. 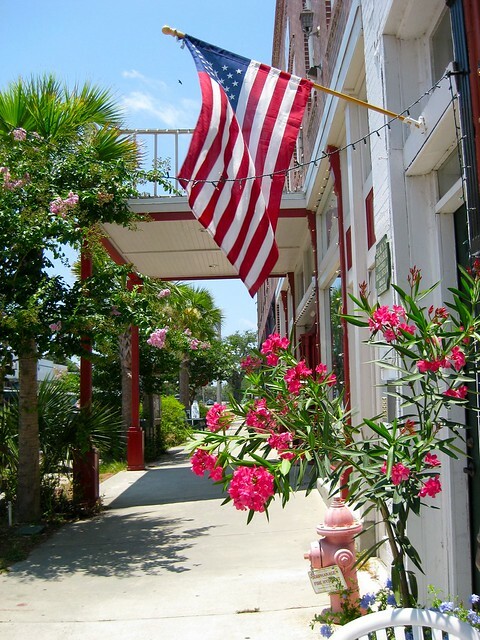 Take a stroll around Apalachicola's small downtown area for an array of shops, ranging from antiques to T-shirts. We even found a shop dedicated to pets. My favorites, though, were the off-the-wall shops, selling everything from clothing to gag gifts to garden decorations. My favorite find was this “Last Supper” lunch box I found. I really regret not buying this now. If you're interested in Apalachicola's sponging past, check out the Apalachicola Sponge Company & Smokehouse Antiques. I didn't go in, but I found this guy hanging around outside. I think my boyfriend had better watch out! Be sure to stop in to an art gallery or two to see work by local artists, and then simply walk around, enjoying the sea breeze and historic buildings. My favorite? The Dixie Theater. The theater was originally built in 1912, and still produces some of the best live professional theater in the area. Next, head to the docks, where, at the right time of day, you can watch fishermen unloading their catch. Even if you miss the boats coming in, the bay area is scenic and worth a stroll. If you're hungry, try out the Owl Cafe in the center of town — a favorite among locals. The place is small, so unless you're going for lunch, a reservation is a must. But it's worth it if you're a seafood lover. If you're in the mood for oysters (and you really can get some of the best here in Apalachicola), the restaurant choices are numerous. And for dessert? Pop into the Apalachicola Chocolate Company for some gelato, salt water taffy, or other sweet, chocolatey treats. Yum. The whole atmosphere of Apalachicola is different. Things move at a slower pace here. It really is a little slice of “Old Florida,” within easy driving distance from larger cities like Tallahassee and Panama City. So, next time you're planning a trip to Florida, forget about all the “typical” destinations. Instead, consider some of the smaller coastal towns off the beaten track. They may just surprise and charm you, and inspire you to return again and again. Getting there: Apalachicola is located in Florida's Panhandle on the Gulf of Mexico, roughly 1.5 hours southwest of Tallahassee. Where to stay in Apalachicola: There are actually a few hotels in town. Check out the (rated #1 on TripAdvisor), the (a historic inn on the National Register of Historic Places), or the . 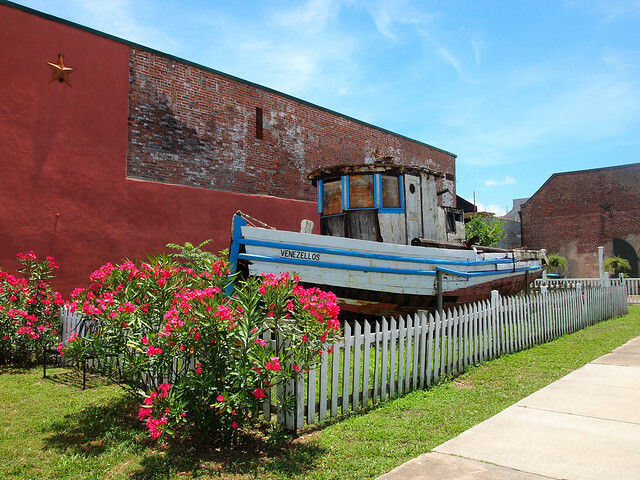 Have you ever been to Apalachicola? Nice! Looks like a funky little town. One of my goals is to drive the “redneck riviera” from the Florida panhandle to New Orleans! That area has intrigued me for so long. I think “funky” is the perfect word to use! And that drive sounds awesome. I’m sure you’d stumble along plenty of… erm… special people and places along the way! Funky little town. You know, you don’t hear a lot about the Florida panhandle. Sounds perfect for an “off the beaten path” kind of trip. Love that diving suit! Yeah, the Panhandle really is great! We stayed in St. Joe Beach, which is the quintessential beach village, I think. this bought back memories of about a month in Florida … have a photo near and olf folks home: “Dear Crossing ” cute!